Wisconsin, as we all know, is the home of delicious cheese, Bucky the Badger, and…great tools for teaching financial literacy? Educators in Wisconsin have made a commitment to teaching students the money management skills they’ll need someday to achieve their financial goals, whether they’re facing college tuition, career decisions, debt, or long-term planning. These important lessons seem hard to teach. 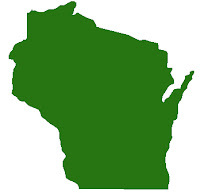 Happily you don’t have to be a resident of Wisconsin to benefit; a great deal of information is available to everyone through Wisconsin’s Educational Communications Board. The Financial Literacy: TEACH IT! site features a series of videos to help educators introduce topics like saving and investing, risk management, and being a critical consumer. Sound dry? Watch the video in which a teacher helps her children understand the relationship between risk assessment and insurance and you may change your mind. In it, Ms. Pingel directs her second and third graders to place houses they've constructed into a tub filled with dirt and trees to resemble a landscape. After talking about their rationale for locating homes in different areas, she passes out a sheet of insurance options and the kids pick the ones they think they’ll need—accident, chimney, earthquake, etc.—based on the location of their house. (Prices are measured in recesses to help kids get the idea of value – personal liability insurance will set a child back five recesses!). Then disaster strikes: Ms. Pingle dumps a pitcher of water into the tub! Some houses are washed away, but the ones on high ground are untouched. Then Ms. Pingle leads a discussion about the kids’ insurance choices now that they face hard times. The TEACH IT! page has links to the handouts used in nearly all lessons, and educators can view excerpts from a Q and A session with the teacher after the lesson for further information. The financial literacy lessons are divided by age: pre-kindergarten to grade four, grades five through eight, and grades nine through twelve. This website is an outstanding resource for teachers, but also for parents who want to teach their kids about money management but are not sure where or how to start. The ideas and videos are great starting points for important conversations that will help kids make smart decisions for years to come.